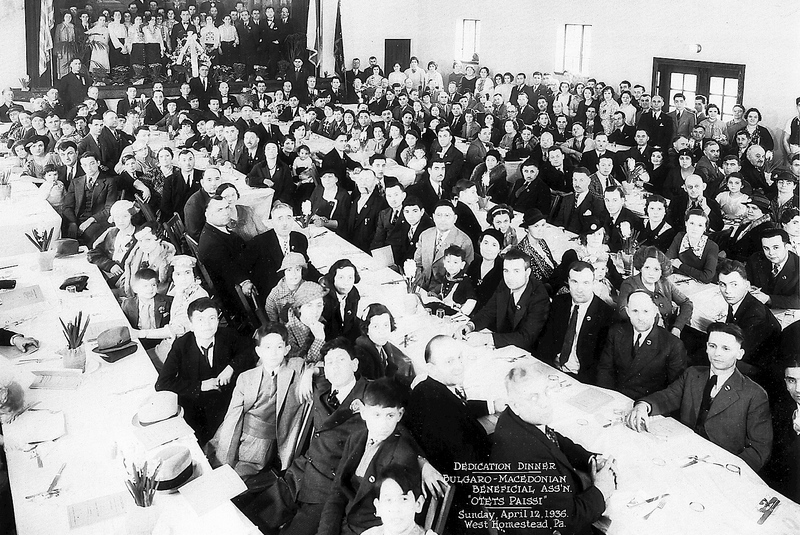 The Bulgarian Macedonian National Educational and Cultural Center (BMNECC) grew out of the Bulgaro-Macedonian Beneficial Association (BMBA), which was founded in 1930 in West Homestead, Pennsylvania. 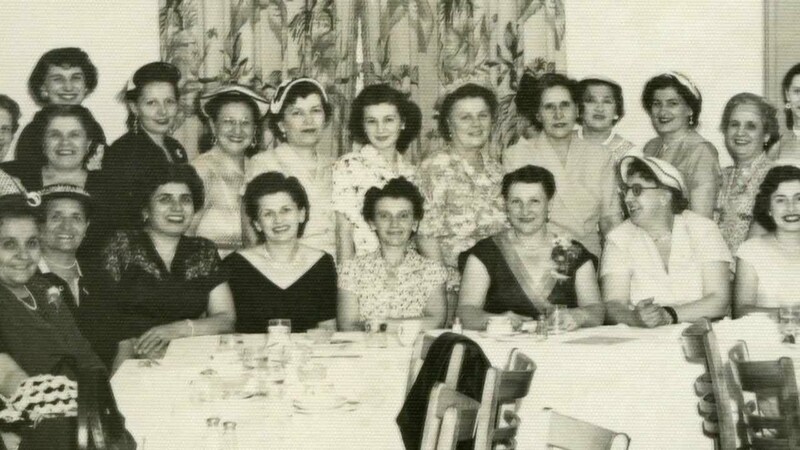 The oldest such Bulgarian organization in the United States, the original BMBA was the center of social and cultural life for Bulgarian and Macedonian immigrant families who settled in the Pittsburgh area in the early decades of the twentieth century. The organization was a lively gathering place, with its regular schedule of social, cultural, educational and sports programs. The BMBA served immigrant families with important services to ease their integration into American society, including insurance plans that provided benefits in the event of the death of a family’s breadwinner. At its height, 800 families were active in the organization. Soon after the BMBA’s founding, a subscription campaign among the members raised money to erect the building at 449-451 West Eighth Avenue in West Homestead. Since 1935, this facility has continued to be the center of Bulgarian and Macedonian cultural activity in Western Pennsylvania. As the earlier wave of immigrants from the Bulgarian-Macedonian region of southeastern Europe was increasingly absorbed into the mainstream of American life and the demise of the steel industry devastated the economic vitality of the Monongahela Valley, the membership of the original BMBA dwindled. By the 1980s, the organization found itself in debt and struggling. Through tenacious work on the part of the remaining membership, the debts were gradually erased, and the organization made crucial decisions to assure its longevity for future generations. By 1995, the leadership of the BMBA had decided to dissolve the original legal entity and in its place establish the BMNECC. The new BMNECC was created as a nonprofit corporation under Pennsylvania law, granted a tax-exempt status, 501(c)(3), and registered with the Pennsylvania Bureau of Charitable Organizations. Agreements were drawn up between the BMBA and the BMNECC detailing the donation of all physical assets, including the building and property on West Eighth Avenue, to the new organization. These assets, plus the donation of the enormous personal collection from the family of long-time President Patricia Penka French, became the foundation of the current museum, library, and archives.